« A Degrowth project » right in the middle of a growth crisis? A few weeks ago we published an article titled Transition is underway: « More and more people are realising the physical and anthropological limits of our growth society. 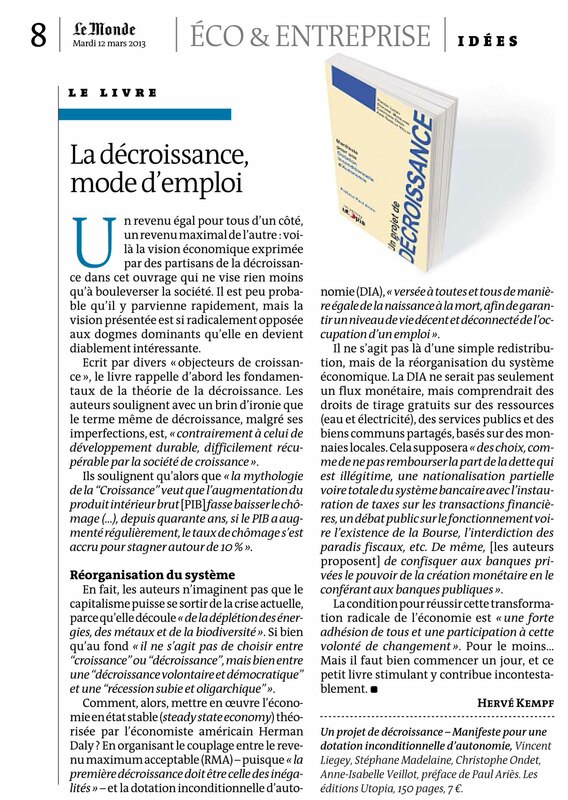 More and more people feel uncomfortable with consumerism, even more with the demeaning of work, the devastating consequences of austerity plans, what we called the religion of the economy ». 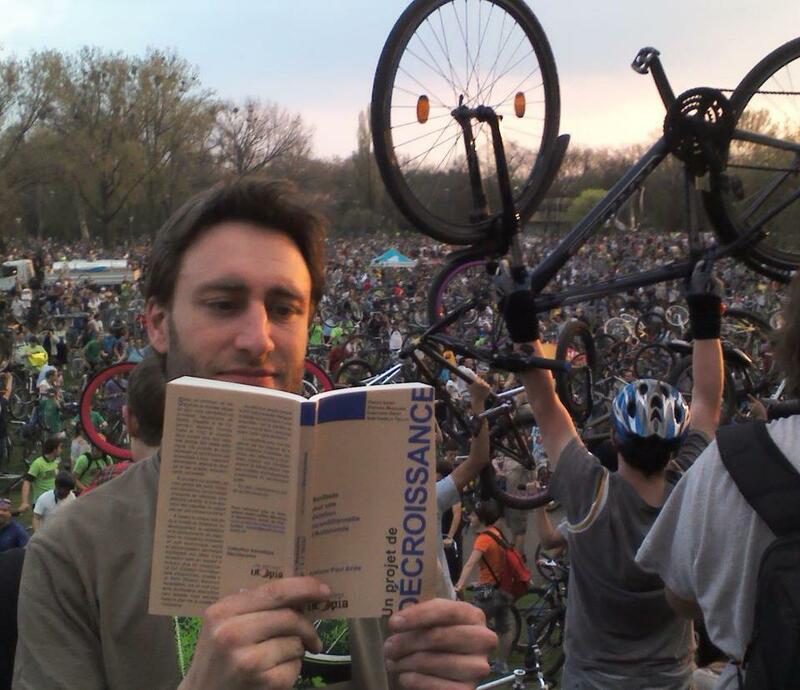 Over the last three months since the release of our book, A Degrowth Project: Manifesto for an Unconditional Autonomy Allowance, our experience reinforces it. For sure, the desire for a robust debate, new ideas and alternative solutions is very strong! So, we are pleasantly surprised by the positive response from the medias: Le Monde, Libération, France Culture, France 5, Rue89, BastaMag etc. Furthermore, people share these articles around and they triggermany great commentaries and discussions. Despite the media crisis, some journalist are still resisting. 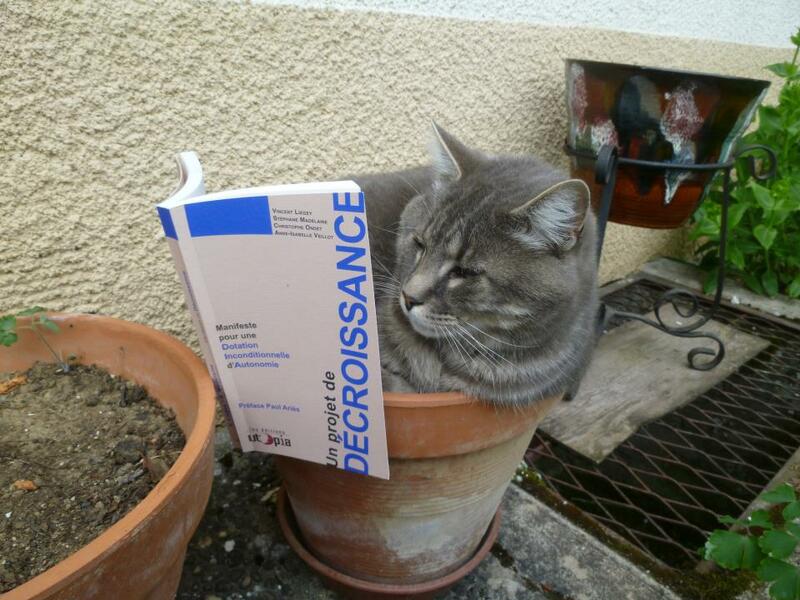 Lastly, our publisher has surprised us by announcing that A Degrowth Project has sold out in bookshops in less than three months… so an urgent re-print is in the making. 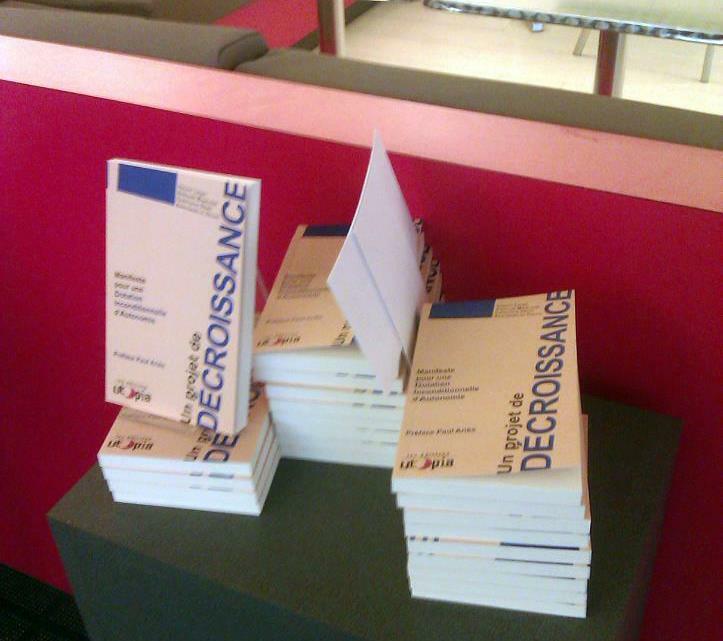 The success our Degrowth Project is enjoying demonstrates the relevance of the ideas underpinning Degrowth. The political and structural impasse exacerbates ill-feelings and leads people to question and realise the limits of this system also. Meanwhile some solutions are taking shape, new ideas are emerging. These are in total rupturewith the dominant thinking. So we keep on talking, debating, opening new paths, and meeting as well, questioning ourselves and experimenting. No doubt, transition is underway! Vincent Liegey, Stéphane Madelaine, Christophe Ondet, Anne-Isabelle Veillot. 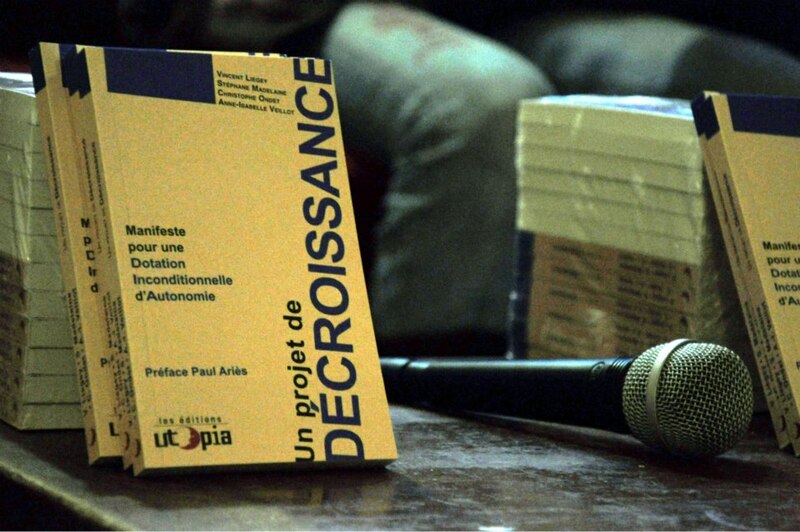 Co-author s of A Degrowth Project, Manifesto for an Unconditional Autonomy Allowance, Éditions Utopia, 2013. 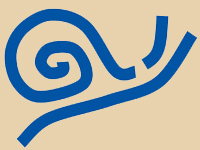 2 réponses à « A Degrowth project » right in the middle of a growth crisis?